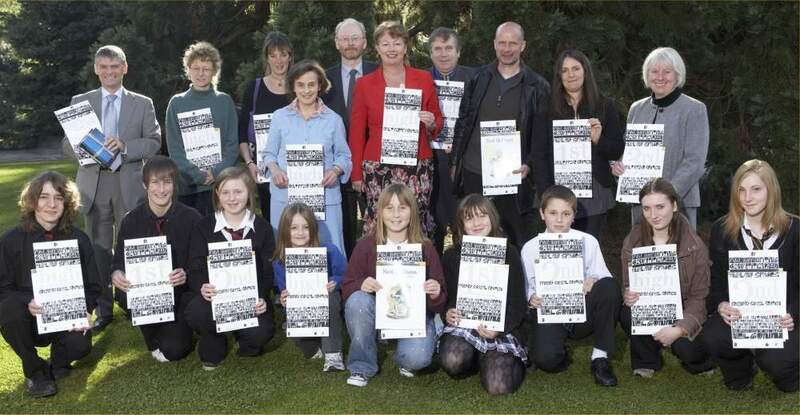 Winners of The Highland Council’s Neil Gunn writing competition 2007 were announced today (Tuesday 2 October) at a prize-giving ceremony held at Strathpeffer Spa Pavilion. Established in 1988 and organised by library staff from The Highland Council Education, Culture & Sport Service with support from the Neil Gunn Memorial Trust, this year’s competition attracted over 400 entries. The adult prose and poetry sections were open to writers throughout Scotland, while the secondary and primary school sections were open to Highland pupils from S1-S4 and P5-7 respectively. To celebrate 2007 Year of Highland Culture, the theme this year was ‘Highland Spaces’. Artist John McNaught and storyteller and musician Bob Pegg worked with pupils from Highland Schools to produce a DVD showcasing the competition and featuring extracts from a range of competition entries as well as from the writing of Neil Gunn. John also produced commemorative banners and hand crafted the certificates that were awarded to all prize winners. All scripts were submitted anonymously to the judging panel, which was chaired by well-known Scottish writer Margaret Elphinstone. Margaret judged the adult prose along with Ann Yule Convenor for the Neil Gunn Memorial Trust. West Coast poet Ian Blake and Rhoda Michael editor of Northwords, judged the adult poetry. The secondary schools’ section was judged by Colin Ferguson of the Neil Gunn Trust and Stephanie Hoyle, Senior Schools Librarian. Marilyn Ferguson judged the primary schools’ section along with Elizabeth Parker, Senior Librarian, Children and Families. During the ceremony hosted by Area Libraries Officer for Ross, Skye & Lochaber Charlotte MacArthur and Reading Development Co-ordinator Cindie Reiter, cash prizes, DVDs and certificates were presented to the award winners in each section. On reviewing the secondary school entries, it became apparent that in addition to having three individual prize winners, Thurso High School had also provided a number of other particularly well written entries. In recognition of this consistency, the Neil Gunn Trust made a Special Award of some of Neil Gunn’s books to the school. Copies of the DVD are available from Cindie Reiter on 01463 251252. Row Behind: Dominic Crofts, Thurso High School; Ailsa Quirie, Thurso High School; Christy MacRae, Kyle PS; Kate-Rose MacDonald, Canisbay PS; Peter Dymond, Canisbay Primary; Ailsa Hosie, Kilchuimen Academy; Beth Appleby, Millburn Academy.